2.The main motor adopts inverer to save more electricity and regulated speed more easily. 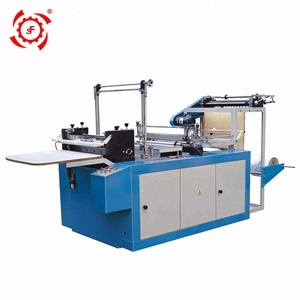 3.the color tracker with perfect performance make the sealing and cutting length more accurately. 4.It adopts advanced computer to adjust length more easily and accurately. Width(mm) 60-700 60-900 Max. Length(mm) 60-1000 60-1000 Min. Thickness(mm) Foam 0.5mm Bubble Film 3mm Foam 0.5mm Bubble Film 3mm Max. Our company adheres to the concept of: customer first, customer satisfaction for service purposes. 1. All the machine and infoirmation can be replied by our experienced salesman. Q5. Can you produce according to the samples9 A: Yes, we can produce by your samples . (panasonic) Double cutter move servo motor: 0.4kw. (panasonic) One set quad flat pouch unwinder servo motor: 0.75kw. (panasonic) Second set quad flat pouch unwinder servo motor: 0.4kw. 2 YRS Ruian Husong Printing Machinery Co., Ltd.
We have a great dream and responsibility to provide solution for the intelligent bag making industry. 4. How long is your machine's warranty period9 All our machine have one year guarantee, starting from finished installation. 8. How do we solve the machine problem after your engineer leaving 9 Generally speaking, there will be no problem after finish installing. 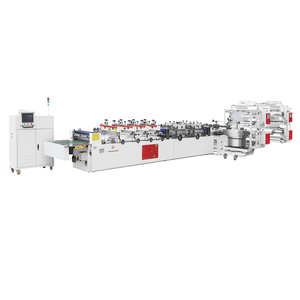 4.It can finish the processing from materials to bag one time, featuring in reducing site coverage, processing and labor cost. Q4: How can I trust you for the first time business 9 ---Please note our above business license and certificate. 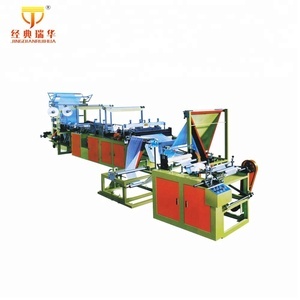 The engineer will install the machines, and test the machine for you, and also could give your workers a training lesson. size 1250* &Oslash; 700 mm. size 40 0* &Oslash; 700 mm. size 170 * &Oslash;5 00 mm. 1 YRS Ningjin Chengheng Plastic Machinery Co., Ltd.
11 YRS Ruian Cambridge Imp.&Exp. Trade Co., Ltd.
9 YRS Shanghai Zhoutai Light Industry Machinery Manufacturing Co., Ltd.
2) Adopting advanced world famous brand components in pneumatic parts ,electric parts and operation parts. 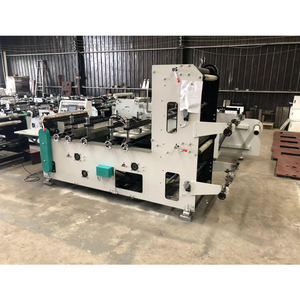 ZHOUTAI has grown into a glabal corporation with ZHOUTAI Printing Machinery co. ZHOUTAI machine have been sold over 20 countries in Asia,Europe,North and South America,and Africa. 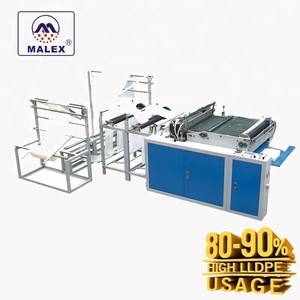 Alibaba.com offers 58,187 pouch making machine products. 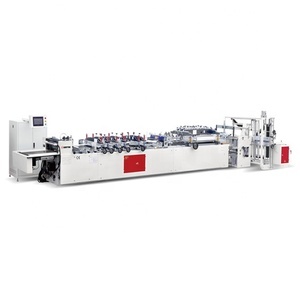 About 70% of these are multi-function packaging machines, 8% are filling machines, and 3% are bag making machines. 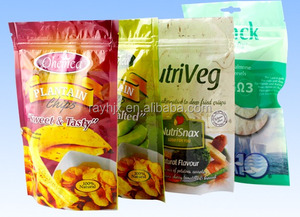 A wide variety of pouch making machine options are available to you, such as free samples, paid samples. 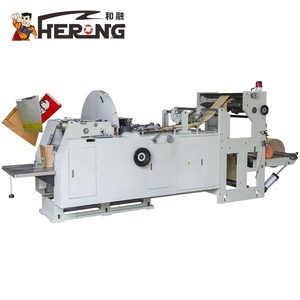 There are 58,187 pouch making machine suppliers, mainly located in Asia. 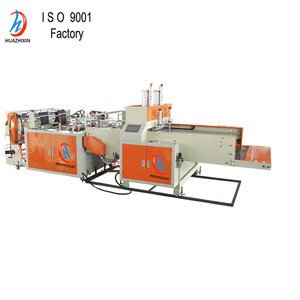 The top supplying country is China (Mainland), which supply 100% of pouch making machine respectively. Pouch making machine products are most popular in Domestic Market, Mid East, and North America. You can ensure product safety by selecting from certified suppliers, including 9,127 with Other, 4,161 with ISO9001, and 134 with ISO14001 certification.